Jack was educated at Campden Grammar School. He lost his life during the war and his name is recorded on the memorial which is located in the main hall of Campden School. Despite finding a photograph of Jack it has not been possible to trace his regiment or date of death. No person of his name appears on any census return or electoral roll so it must be assumed that he was a boarder at the school. 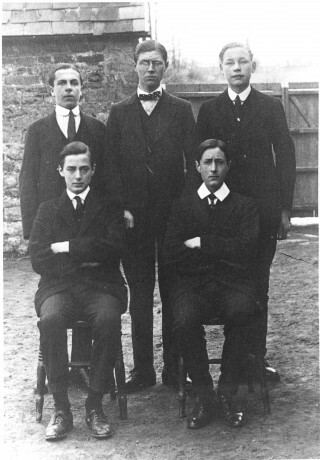 The photograph shows Jack sitting on the left. His friends Drewett and Reid are also on the photograph but the order is not known.